« Is it Time for New England Fall Foliage Yet? 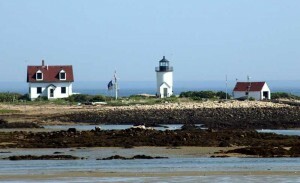 Another favorite day trip from our Bed and Breakfast in Freeport is a trip to the Kennebunks. If you would like to enjoy the drive down US-1 to the south, we suggest wandering until just north of Portland, and when I-295 crosses US-1, you should enter I-295 to the left, taking you on to I-95 South, as far as Biddeford. At that point US-1 is only a short distance from I-95, and you’ve bypassed the congestion in and around Portland. After the pretty countryside you come to the village of Arundel, where there are a number of interesting antique dealers and antique malls. Continuing to Kennebunk, notice the First Parish Unitarian Church, at the intersection of Route 35. The bell in the steeple was fashioned by Revolutionary War hero Paul Revere. Turn left on Route 35 and enjoy the drive through the old homes, to Kennebunkport. Along the way, don’t miss the Wedding Cake house, on the left side of the road. 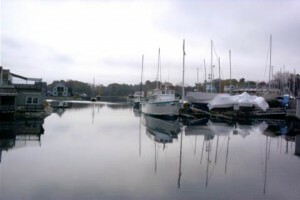 Once in Kennebunkport, enjoy walking through the lovely town square, with its planter box near the center of town, and across the small bridge to see the boats anchored in the marina. There are many lovely homes, churches and bed & breakfasts, making it a pleasure to walk the tree-lined streets. If you drive out Ocean Avenue from the town square, you can see the lovely beach, then farther on, Walker Point, where the summer home of President George H.W. Bush is located. 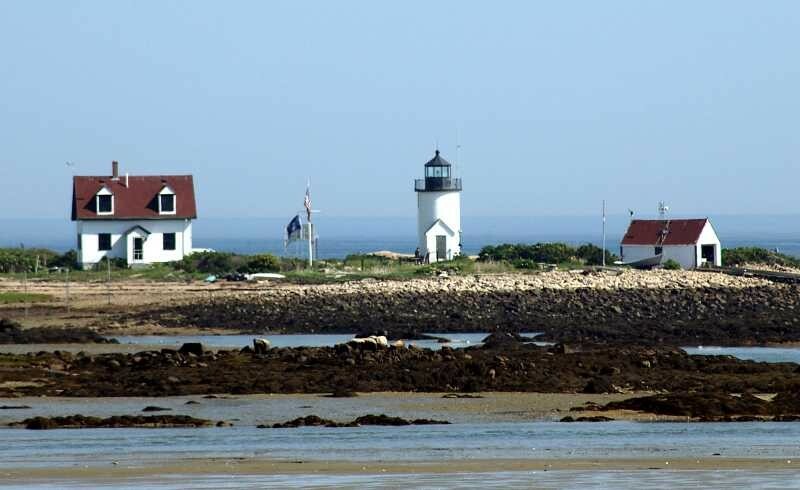 If you return to Route 9 from Ocean Avenue, it will take you to Cape Porpoise, a charming, hidden, village, with a lovely harbor and Goat Island lighthouse. When you finish enjoying this delightful area, return to Brewster House for snacks, and later a dinner at one of the Freeport restaurants, then a browse through the Freeport outlets. Another nice day out!